What is an Alphabet Wager? 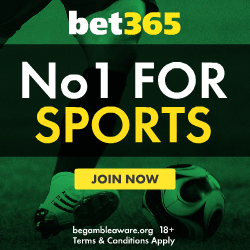 Use our Bet365 bonus code when signing up for a new account. A wager on six selections consisting of 26 bets: 2 patents (14 bets), 1 yankee (11 bets) and a six-fold accumulator (1 bet). Named after the alphabet due to the 26 bets it contains, the selections are split into the bets as shown in the table below. The advantage of this approach is that unlike many other bets it give the punter a chance to shuffle their selections so that the ones they are most confident about have a greater effect on payout. The preferred strategy is to place favoured choices in positions 2, 3, 4 and 5, leaving positions 1 and 6 for the least favourite as these are not included in the yankee. Only one selection need win to gain a return. Popular with horse racing punters, though this wager is available for every sport. Bonuses of a fixed percentage are occasionally offered by bookmakers in cases where all selections are winners. For example if the returns from the bet were £100 and all selections had won, a bonus of 10% would return £110. When working out your own bets an online alphabet calculator is preferable, as it also facilitates experimentation with different stakes and bet types. What is a heinz bet? - The article outlines the component parts of this 6 selection wager. 57 bets in total, each participant in the heinz has an equal affect on the payout. All-In-One Betting Calculator - This tool calculates bet winnings for all bets and sports on a single page. Experiment easily with stakes, each way options and more to find the perfect wager. Ideal for football and horse racing events, works on all devices. Visit signupbonuses.co.uk for new customer offers and promotions. It is your responsibility to verify and examine all aspects of your online sports bet with the bookmaker before placing it. We provide no guarantee as to the accuracy of the information found on this site.